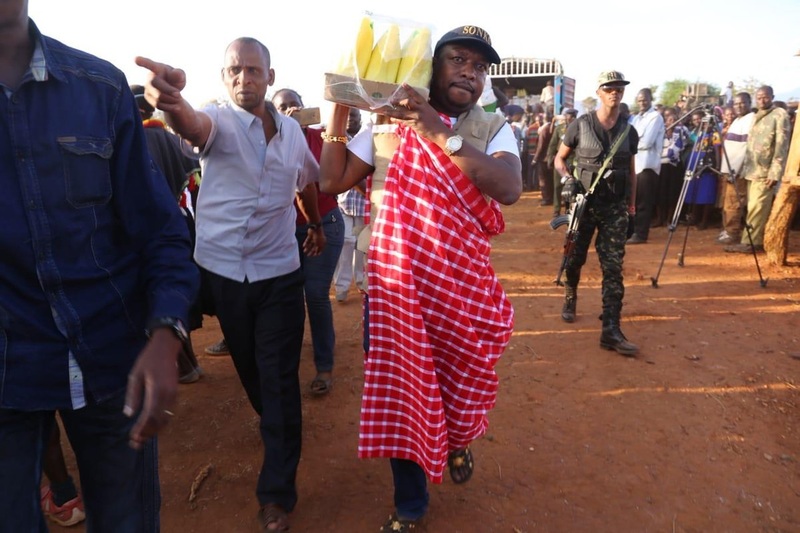 Wednesday March 27, 2019 - Nairobi Governor, Mike Sonko, has said nominated MP, Maina Kamanda, has no moral authority to attack him for helping Turkana residents. Last week, Sonko dispatched 9 Lorries of assorted foodstuffs to Turkana residents to help hunger stricken families. In a post on social media on Monday, Kamanda told Mike Sonko to help Nairobi residents instead of Turkana residents. “Dear governor, after going to Turkana with your complete photograph team, please wake up and serve Nairobians. Streets are still dirty, hawkers being harassed, drainage pathetic and workers being fired left right like garbage. Nairobians also need service,” Kamanda wrote. But in a fast rejoinder, Sonko told Kamanda off and said that he has no time to engage in empty talk with leaders who have lost direction in their careers like Kamanda. “What is wrong with this old man Hon. Maina Kamanda whom I respect a lot? Is it bad to help other Kenyans when they're in need?” Sonko asked. The Governor also dismissed claims that he was seeking publicity when he walked with food stuffs on his shoulders during the exercise. “I did not go there to stay forever or perform the duties of their Governor HE Nanok, I did not go for PR as you allege. I was recently crowned the good deeds Ambassador in Kenya by the Global good deeds organisation based in Israel,” he said.